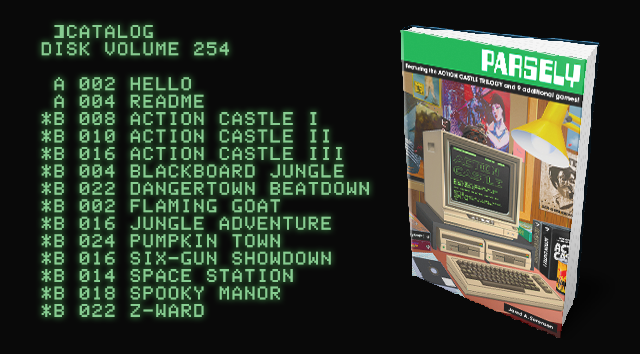 EXAMINE the intro video to learn more about the brand-new Parsely Games collection! In the meantime, I've disabled Parsely sales—no sense buying the old when you can back the new! All 8 classic games will be in the hardcover compilation, plus the two mini-games and two brand0new games!